AMR International is delighted to congratulate FreshAddress, a leader in email marketing database services, on the announcement of the recent strategic investment from TZP Growth Partners, a private equity fund focused on growing business and consumer services companies. 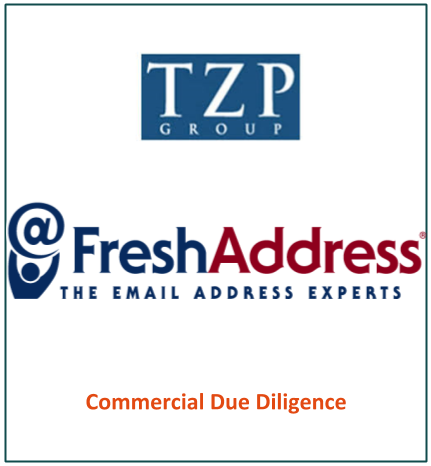 AMR International conducted the Commercial Due Diligence on FreshAddress, a US-based email marketing industry powerhouse. FreshAddress helps businesses to clean, correct, grow and leverage their email lists for maximum return on investment. AMR assessed the competitive landscape, customer satisfaction, growth profile, market share, and risks and opportunities on behalf of TZP Growth Partners.